Montecito is one of the wealthiest neighborhoods in the entire nation. Starting in the 1880s, important people from around the world vacationed in Santa Barbara and the adjacent town of Montecito. The fantastic climate and luxurious lifestyle captivated many, who quickly established their roots here. Today, Montecito harbors many a celebs, who mingle with regular townsfolk sharing commonalities of shopping, dining, and the enjoyment of life. The two central locations in this area are on Coast Village Road and the Upper Village, which are surrounded by beautiful estates and award-winning schools. 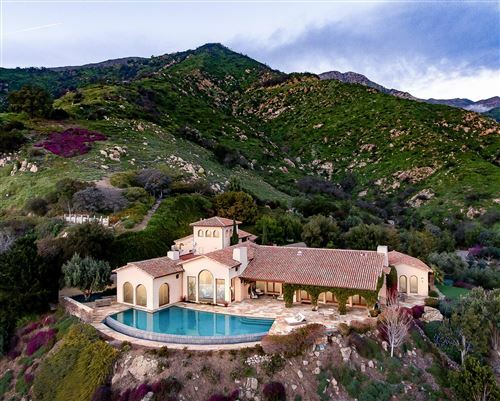 While the Montecito area is home to great restaurants, shopping, and world- renowned hotels such as San Ysidro Ranch and The Biltmore, its natural assets are the real stars of the show. The small city is home to some of the area's most stunning stretches of coastline in all of California. From Fernald's Point, past the calm waters of Miramar Beach and renowned surf break at Hammonds Point, to sparkling Butterfly Beach. Stand-up paddlers and surfers contend for waves, and sailboats are resident against their moorings offshore. At Butterfly Beach, dogs are permitted on-leash, and its west-facing direction lends to captivating sunsets. This information is being provided for your personal, non-commercial use and may not be used for any purpose other than to identify prospective properties that you may be interested in purchasing. Data relating to real estate for sale on this Website comes from the Internet Data Exchange Program of the Santa Barbara Multiple Listing Service. All information is deemed reliable, but not guaranteed. All properties are subject to prior sale, change or withdrawal. Neither the Santa Barbara Multiple Listing Service nor the listing broker shall be responsible for any typographical errors, misinformation, or misprints.